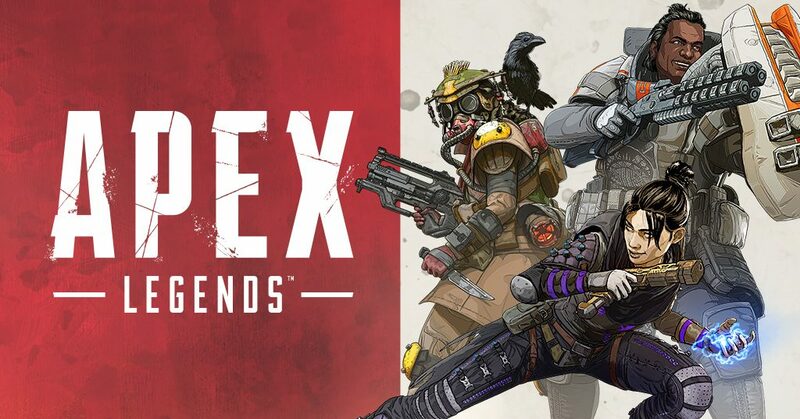 Apex Legends is a free battle royale game released by Respawn. The game features fast paced action where players try to be the last team standings while eliminating their opponents. After deploying into the open world players will try and find gear, and weapons. In total their are currently 19 weapons broken down into 6 different weapon types. Those six weapon types are snipers, light machine guns, pistols, sub machine guns, assault rifles and shotguns. Each weapon has different range, fire rate and damage but they all have the same objective and that is to help you eliminate your opponents. Another part of each weapon is the head shot multiplier. A head shot multiplayer takes the weapons base damage, and multiplies it when you get a head shot. Most, not all, of the weapons in Apex Legends have a 2X head shot multiplier. For example, if you hit a player in the body with a Kraber it will do 125 damage, but if you hit them in the head it will do 250 damage to the player. Reddit user, H16658050N, took the time to calculate and graph each weapons base damage, headshot damage, and damage per second based on fire rate, magazine size and damage. 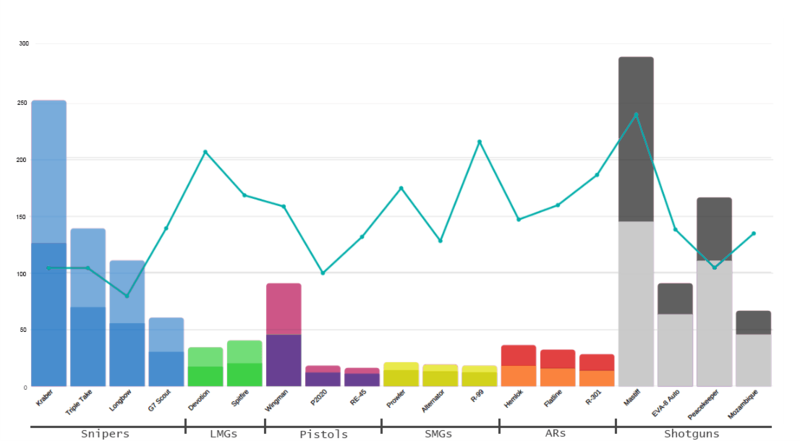 The bottom color on each bar is the weapons base damage, the upper color in the amount of damage the weapon will do with a head shot, and the green line graph is the weapons DPS. As you can see the Kraber and Mastiff can do massive amounts of damage compared to the other weapons in their respective categories. Those are just based on DPS, if you were to include your accuracy into the equation that may change things. It’s always best to get a feel for each weapon and make a decision for yourself. Where did you get this data from? The source is listed under the image. Of course as usual this chart assumes that you are hitting with every single pellet from that shotgun blast every single time. I have seen a peacekeeper do 4 dmg on a headshot because only one pellet hit them. “Better” by DPS if you can land your shots. So why is scout not best sniper? You could say it’s the best but it’s more of a tac rifle, either way this is our opinion.